Soybean diseases caused by Phytophthora sojae have been managed successfully for many years with the deployment of single resistance Rps (Resistance to Phytophthora sojae) genes as well as partial resistance (field resistance or tolerance). However, there are now increasing reports of soybean varieties sold with Rps genes that are no longer effective towards the regional population of P. sojae or that lack sufficient levels of partial resistance. The consequence is stand loss from damping-off or the development of stem rot throughout the season which results in lower yields and added weed pressure. 1) There are more locations with a high proportion of isolates with virulence to key Rps genes, such that the resistance gene will no longer be effective. 2) Phytophthora isolates across the region continue to increase in complexity, evident in their ability to have susceptible interactions with an increasing number of Rps genes. Increasing pathotype complexity indicates that the strategy of recycling Rps genes in soybean varieties is likely to be ineffective, and emphasizes the increasing importance of stacked Rps genes in combination with high partial resistance as a means of limiting losses to P. sojae. New Rps genes have been identified but their effectiveness is still highly questionable. Among the 15 Rps genes that were identified prior to 2001, only five are still effective (Rps1a, Rps1c, Rps1k, Rps3a, and Rps6). 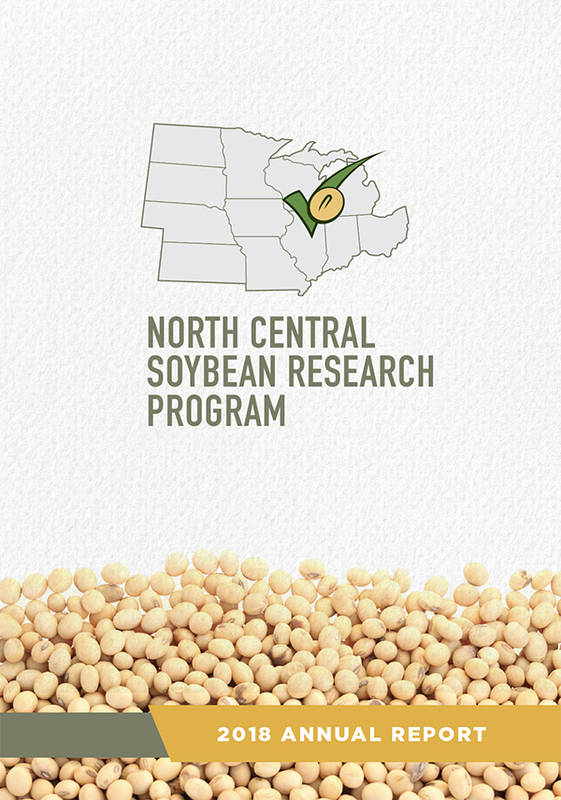 In a new multi-state endeavor, funded by the North Central Soybean Research Program, soybean plant pathologists from nine states are addressing changes in P. sojae populations in the North Central region. The first step will be to recover Phytophthora sojae from fields within each state and characterize for pathotype and genetic diversity. With a better understanding of the genetic diversity within P. sojae and its relationship to pathotype diversity, this team will then evaluate the new sources of soybean genetic resistance to these regional populations. From these studies, they will be able to identify which Rps genes will have broadest impact and to which regions the individual Rps gene should be deployed, singly or in stacks. 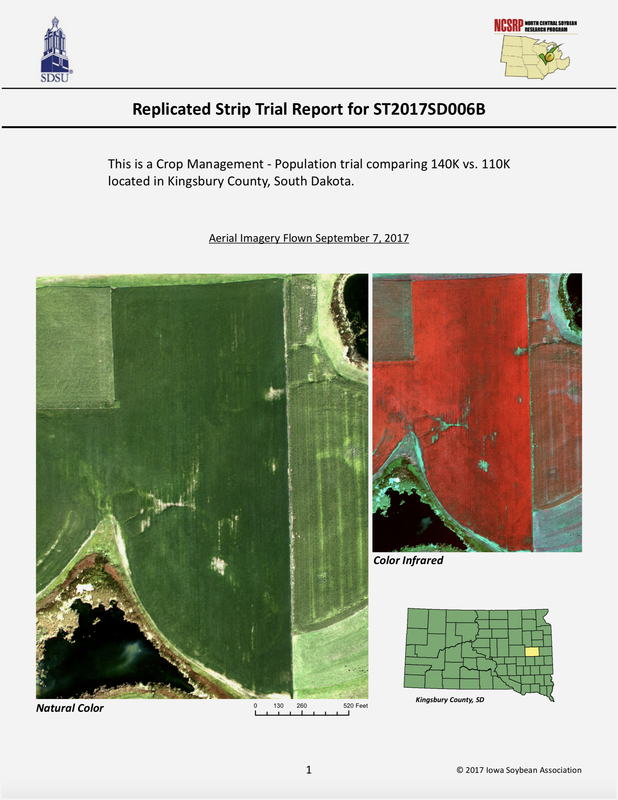 This information will save companies and producers millions of dollars by not introducing ineffective genes into germplasm, thus saving the expense of variety development or in losses to producers. A second Phytophthora species, P. sansomeana, appears to be contributing to seed and seedling damping-off of soybean at greater incidence than previously thought. This is intriguing because P. sansomeana has a larger host range (corn, Douglas fir, soybean) than P. sojae. As part of this collaborative study, this team will determine if the conditions that favor other watermolds are similar to those that favor P. sansomeana, if P. sansomeana isolates are sensitive to current fungicide seed treatments, and if resistance to P. sojae or Pythium species is effective against this pathogen as well. In fields with known Phytophthora root rot problems or conditions that would favor disease, the current recommendation is to always choose a cultivar with the best levels of partial resistance available in the desired maturity group. Partial resistance will not eliminate Phytophthora root rot, but it may delay disease onset. Select a cultivar based on which specific resistance genes are known to be effective in your region. 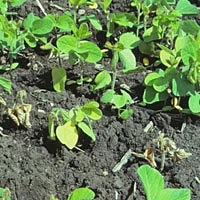 Phytophthora Root and Stem Rot web pages on this Soybean Research & Information website.